Rahul Sankrityayan is recognised as a traveller and father of Hindi travel writing. This talk extends that motif to consider his travels metaphorically-- across languages, genres, histories, philosophies. It narrativises him as much as a singular polymathic phenomenon shaped by a curiosity and capacity all his own as by a constellation of historical conjunctures. I situate his 'epoch making' work of historical fiction, Volga se Ganga, in that history-- as both shaper and shaped--and mark its connections with his larger biographical trajectory that led him through a range of available philosophical/political positions, coterminously with an active immersion in a politics of liberation. Situating him as a significant player in the story of the reception of Marxist ideas in the vernacular as well as in a parallel narrative of Buddhist revival on the subcontinent, the talk engages with the question of how he negotiated these two parallel, but often conflicting, strains. Maya Joshi teaches English Literature at LSR, Delhi University and has also affiliated closely with Tibet House, Delhi for over a decade. 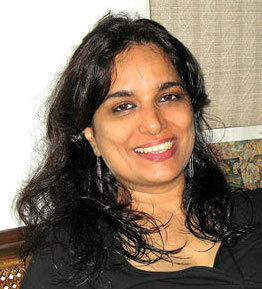 Her publications include a critical edition of Mary Shelleys Frankenstein and a co-edited volume on Dharmakirti and the Indian debate on Pramana. Currently, she is Fulbright Post-doctoral Visiting Scholar at the University of Pennsylvania, researching and writing an intellectual biography of Rahul Sankrityayan.